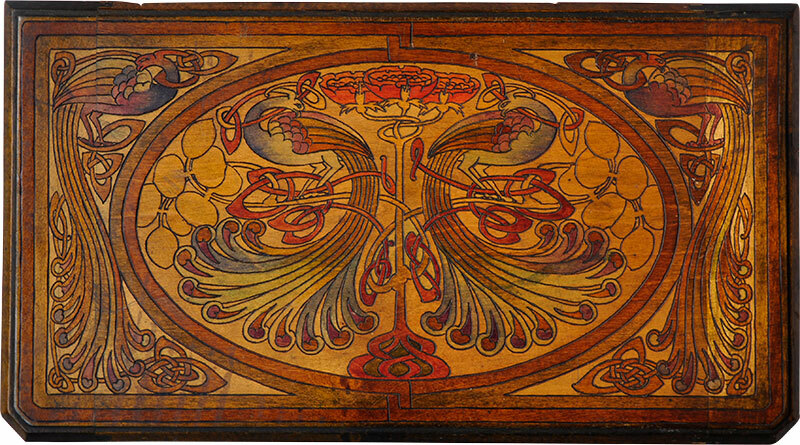 During a year of commemoration of the 1916 Easter Rising, this exhibition offers the first comprehensive examination of the Irish Art and Crafts movement. Like the more familiar Irish Literary Revival, Arts and Crafts practice accompanied and shaped the visual imagination of the country’s transformation from colony to independent nation. As its centerpiece, the exhibition introduces dazzling early medieval-influenced metalwork and embroidered textiles from the Honan Chapel, Cork. The collection of this ideologically charged masterpiece of Arts and Crafts achievement, consecrated in 1916, has never before traveled beyond Cork. 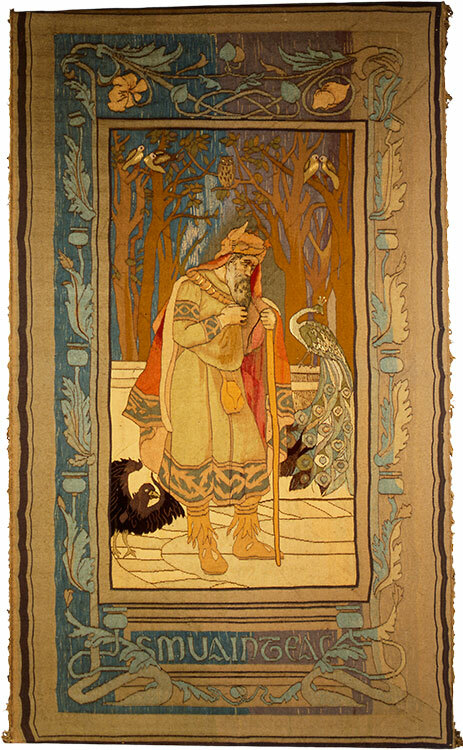 Vera Kreilkamp, a lecturer in the Irish Studies program, and Diana Larsen, assistant director of the McMullen Museum, spent four years gathering more than 150 rare pieces from around Ireland for the spring 2016 McMullen show, The Arts and Crafts Movement: Making It Irish, which they co-curated. Kreilkamp describes the hunt and why they undertook it. 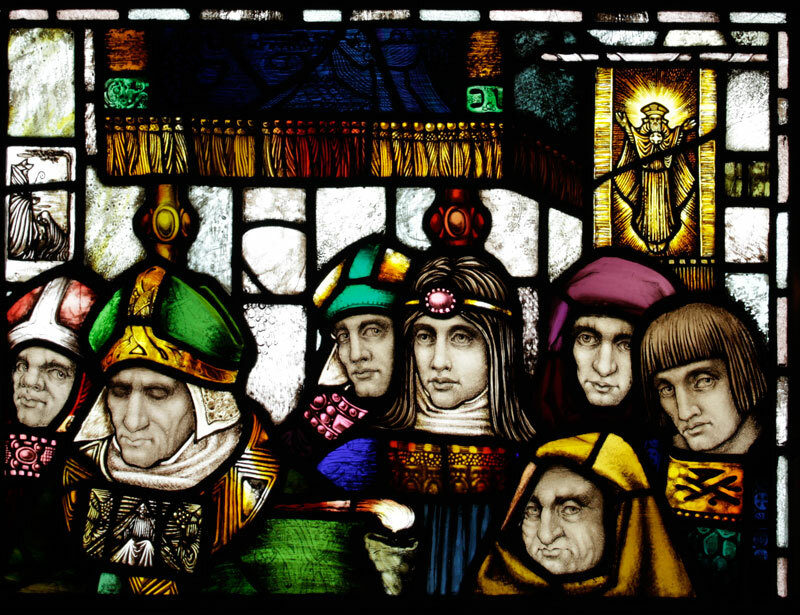 The exhibition also features Wilhelmina Geddes’s and Harry Clarke’s stained glass panels that evoke a Celtic and early Christian past, but gesture toward the innovative modernism characterizing the Literary Revival. Other objects on display include handcrafted furniture and metalwork, carpets and wall hangings, and jewelry replicating early medieval metalwork. 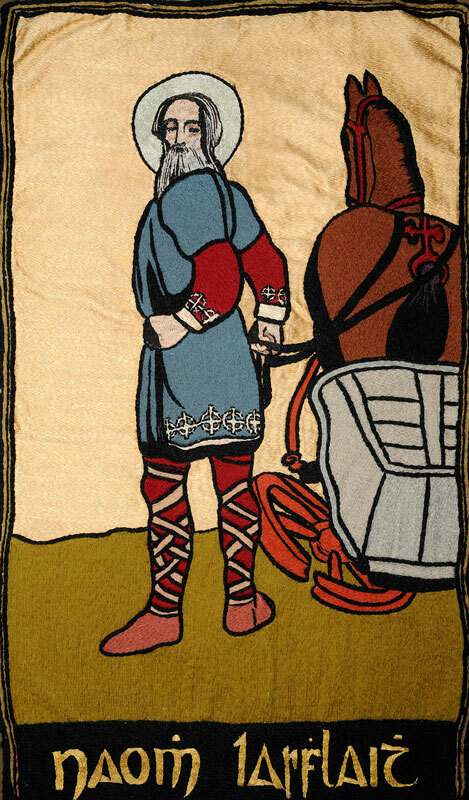 They illustrate both the widespread popular dissemination of Revivalist motifs and the philanthropic promotion of handicraft industries that initiated the Arts and Crafts movement in Ireland. Major lenders include the National Museum of Ireland, National College of Art and Design, Crawford Art Gallery, National Library of Ireland, the Board of Governors of the Honan Chapel, Ulster Museum, and international private collectors. The accompanying catalogue, edited by Vera Kreilkamp, contains essays by scholars from Ireland, Northern Ireland, and North America. A digital guide to the exhibition has been produced by Joseph Nugent and students in his digital humanities course. Organized by the McMullen Museum, The Arts and Crafts Movement: Making It Irish has been curated by Vera Kreilkamp and Diana Larsen in collaboration with Virginia Teehan (University College Cork) and underwritten by Boston College, the Patrons of the McMullen Museum, and an anonymous donor in honor of Colman Welby, with transportation provided by Aer Lingus. Additional support has been provided by Ireland’s Department of Arts, Heritage and Gaeltacht, John Sisk and Sons, and the College of Arts, Celtic Studies and Social Sciences, University College Cork. 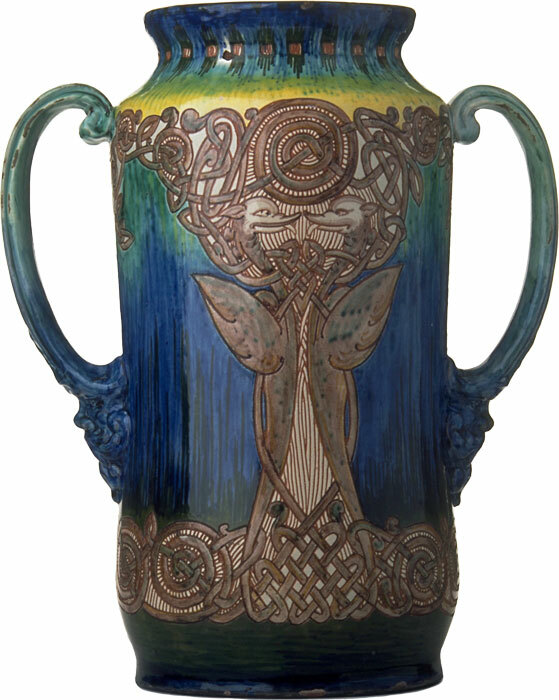 Review: The Wall Street Journal reviews The Arts and Crafts Movement: Making It Irish. 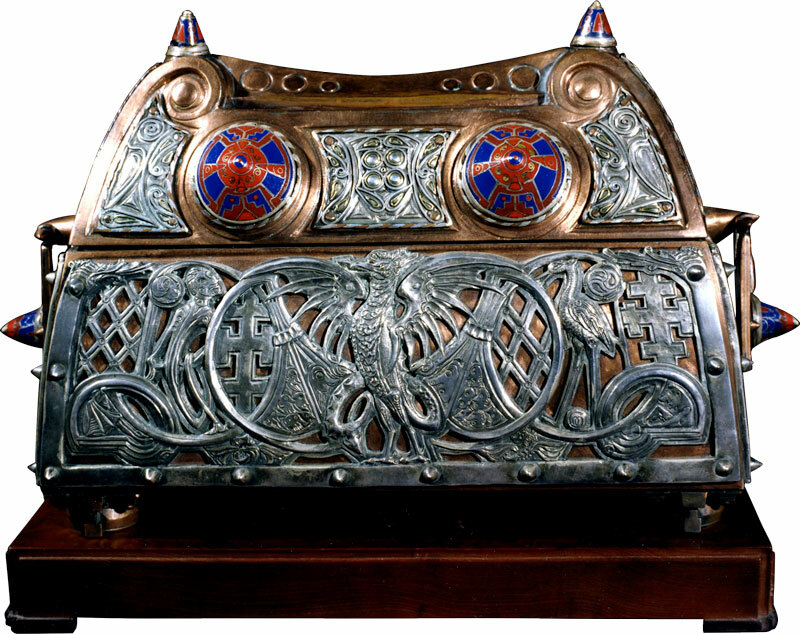 Review: The Irish Times reviews The Arts and Crafts Movement: Making It Irish. Video: "Museum Open House": Curators Vera Kreilkamp and Diana Larsen discuss The Arts and Crafts Movement: Making It Irish on Newton TV. Video: "Museum Quality": Vera Kreilkamp discusses the selection of objects for the exhibition The Arts and Crafts Movement: Making It Irish.